Known officially as the Grosvenor Road Footbridge and more affectionately as ‘Anarchy Bridge’, this has been a favourite haunt for graffiti artists and trainspotters for many decades. 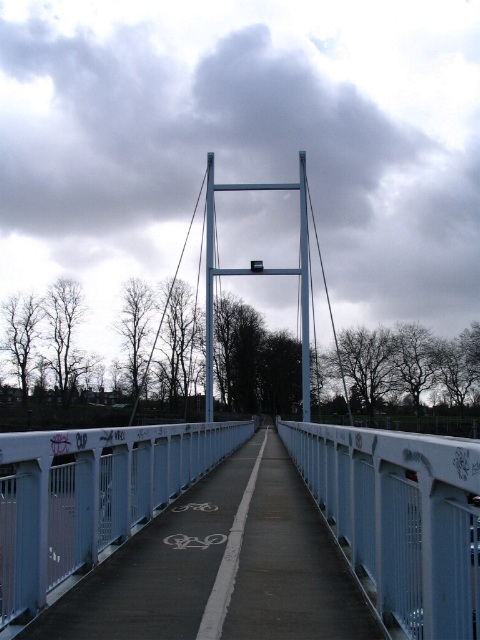 The footbridge links Earlsdon and Spencer Park to the City Centre and was constructed in the 1850s to maintain a public right of way through the new railway marshalling and goods yard. It follows an ancient route from the city centre and through Earlsdon, which used to run due south and on to Kenilworth. The bridge was substatially rebuilt due to the development of a new retail park on the disused marshalling yard in the 1990's. 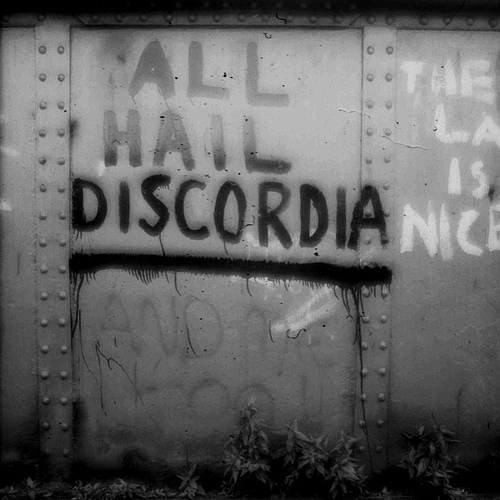 However, prior to this it was heavily graffitied with anarchistic and surreal slogans, including "I have seen the fnords" which was specifically mentioned in Jonathan Coe's novel "A Touch Of Love" which was set in this area.